In this post I will look at extracting point data from a CSV file and creating a Shapefile with the pyshp library. 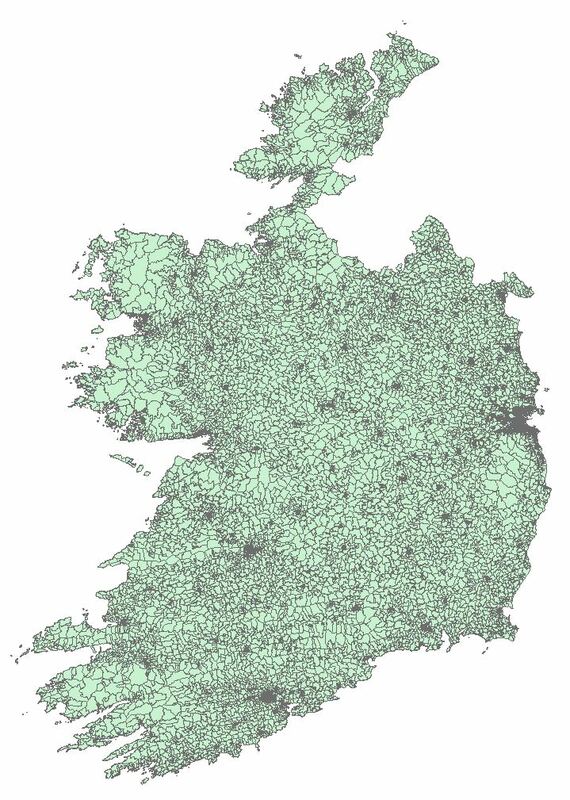 The data consists of the location of trees with various attributes generated by the Fingal County Council in Ireland. 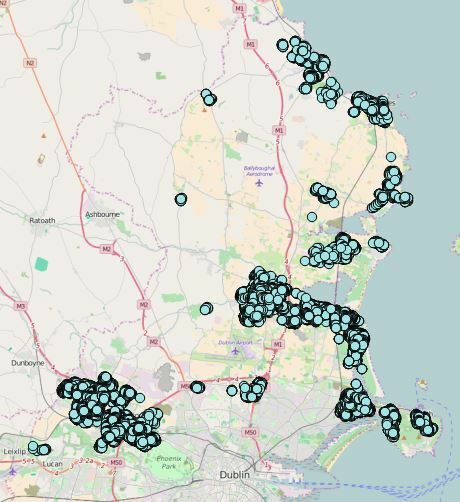 The data can be downloaded as a CSV file from dublinked.ie. NOTE: You should make yourself familiar with the pyshp library by visiting Joel Lawhead’s examples and documents here. The full code is at the bottom of the post, the following is a walkthrough. When ready to go open your favourite editor and import the modules required for the task at hand. We will use the getWKT_PRJ function discussed in a previous post. 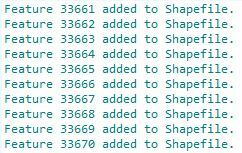 Create an instance of the Shapefile Writer( ) class and declare the POINT geometry type. Set the autoBalance to 1. This enforces that for every record there must be a corresponding geometry. Create the field names and data types for each. 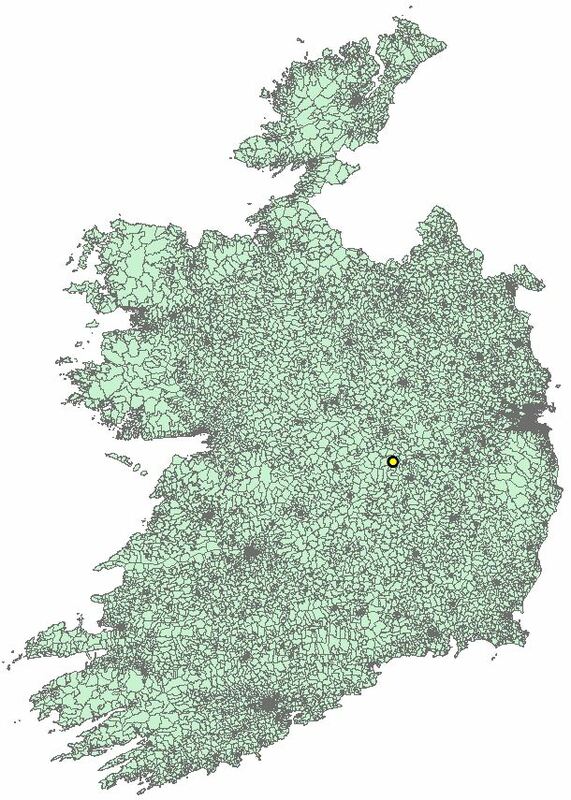 Create a counter variable to keep track of the number of feature written to the Shapefile. Open the CSV file in read mode. Loop through each row and assign each attribute in the row to a variable. Set the geometry for each record based on the longitude and latitude vales. Create a matching record for the geometry using the attributes. Print to screen the current feature number and increase the counter. print "Feature " + str(counter) + " added to Shapefile." Save the Shapefile to a location and name the file. Save and run the script. The number of features should be printed to the console. If you open the original CSV file you can see that there are also 33670 records. Navigate to the file location where you saved the Shapefile output. You should see four files shown below. And just to make sure that the data is correct, here I have opened it up in QGIS. # for every record there must be a corresponding geometry. # create the field names and data type for each.